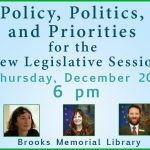 Join us on Thursday, December 2oth at at 6pm in the Community Roomfor the first in a series of monthly policy conversations. Representatives Emilie Kornheiser, Molly Burke, Tristan Toleno, and many of your neighbors will be coming together to talk about community goals for the coming year. James Ehlers, Christine Hallquist, Brenda Siegel and Ethan Sonneborn have agreed to attend a Candidates’ Forum at the Gibson-Aiken Center, Senior Meals, on Friday, July 6th at 8:00am (as always, “doors open” at 7:30am for informal networking). DESCRIPTION: Why Not Emphasize That Assad Had No MOTIVE To Use Gas When He Already Defeated the Terrorists Sent and Armed by USA and Saudi Arabia, While Assad’s Enemies Had a Reason to Stage a Gas Attack To Give USA a Pretext To Bomb Yet Again. This short alert is written in dedication to my readers in nations that have been invaded or bombed by Americans in uniform. When a crime is reported or discovered, the first thing investigators look for is someone with a MOTIVE to have committed the crime – someone who stood to gain from committing the crime.